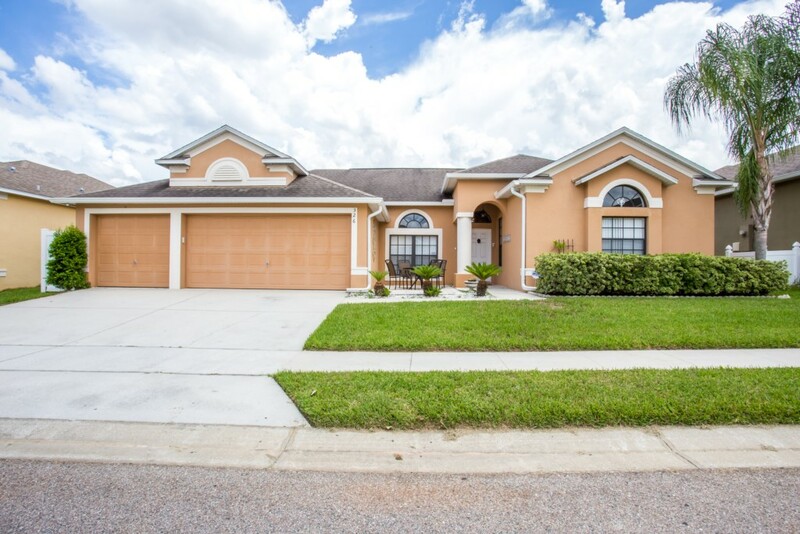 This very much upgraded home is located in popular Legacy Park/The Estates on US Highway 27, and are minutes away from all the major attractions including Disney and shopping. 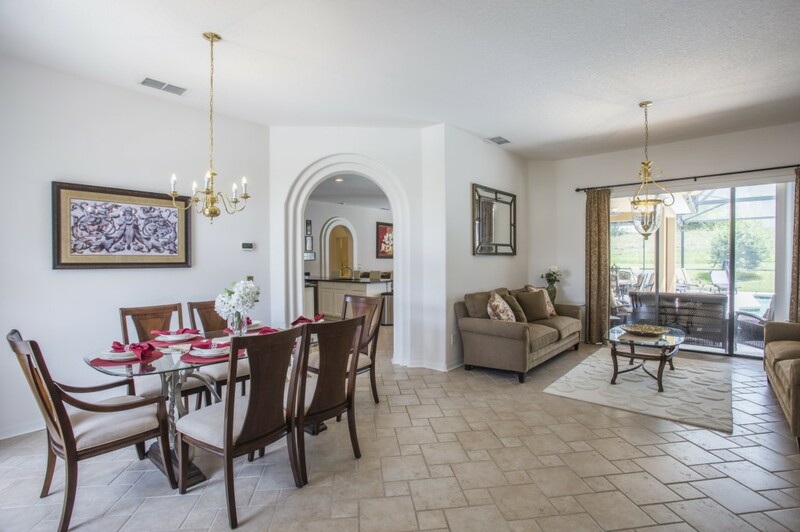 Spend your vacation in this elegant and contemporary 2600 sq.ft home that features 2 living rooms, 5 bedrooms , 3 bathrooms, a spacious family room with a 55" LED TV. All bedrooms has TV's. This home will accommodate up to 10 people plus baby. 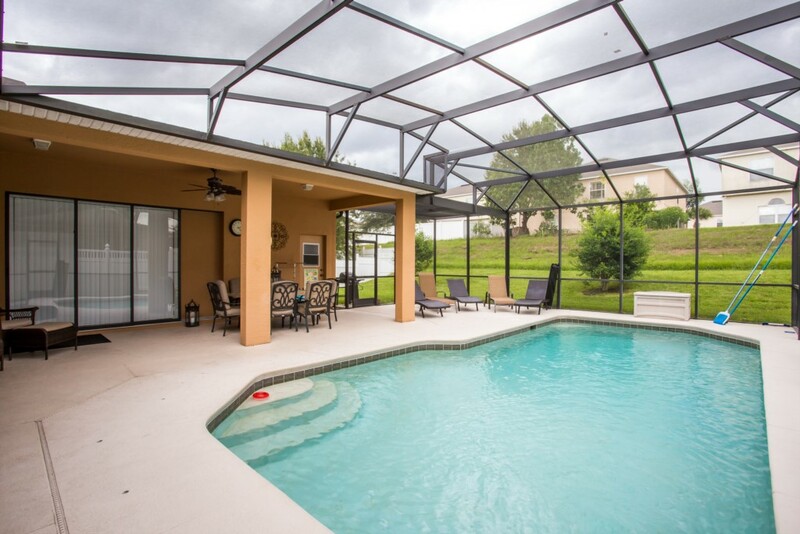 The private screened in pool has a shady lanai. The sun loungers are waiting for you on this south facing lot! There is plenty of comfortable seating for all. 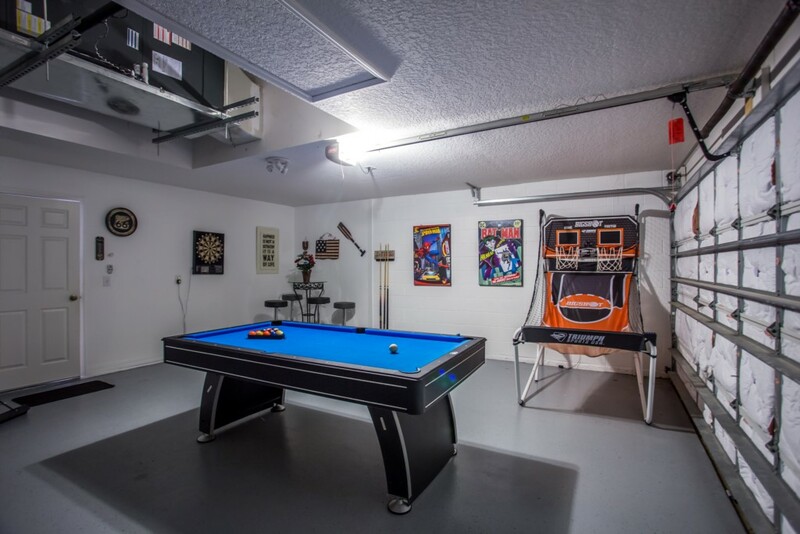 Inside the home you find a dedicated games room. 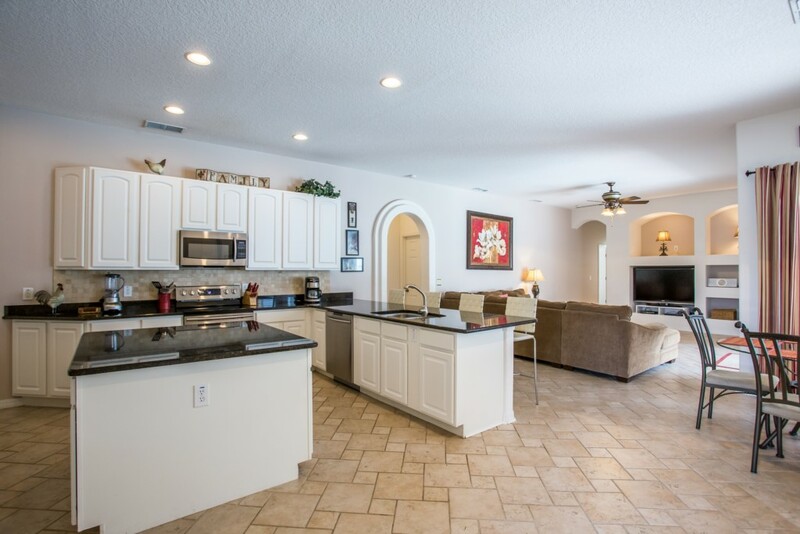 This large, exclusive pool home of 2600 sq.ft.is elegantly remodeled. There are new tiles all over, and the bedrooms has carpets. 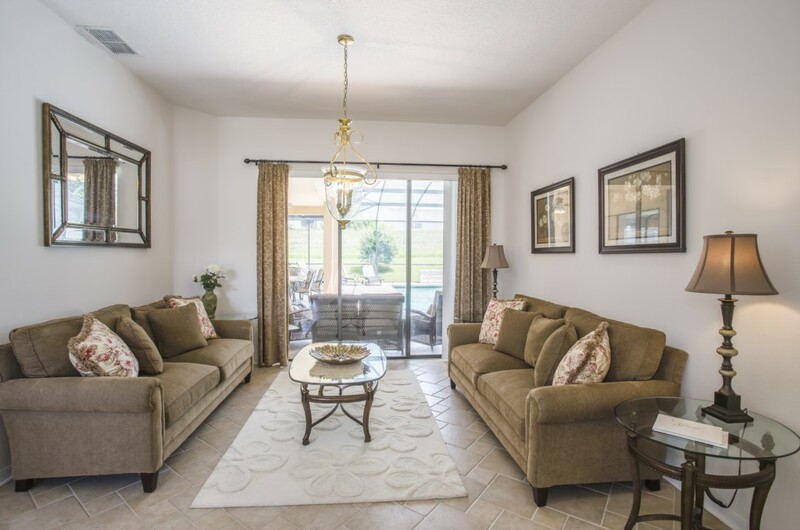 The family room has large sofa group and a 55" LED TV, cable with almost 100 channels, and a CD-player with radio and docking station for IPod. 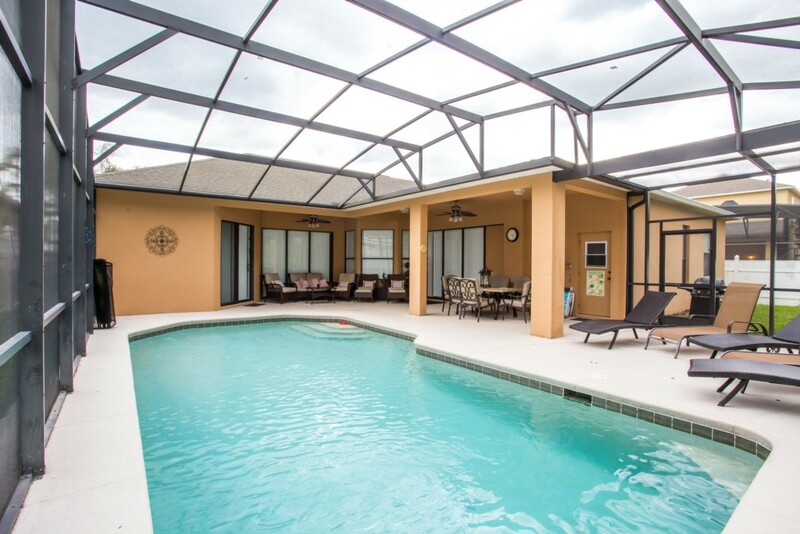 The oversized pool may be heated in the winter months. The pool deck is also oversized and has plenty of room to play and soak in the sun, and there is lots of seating, and 4 sunloungers for guests to enjoy. 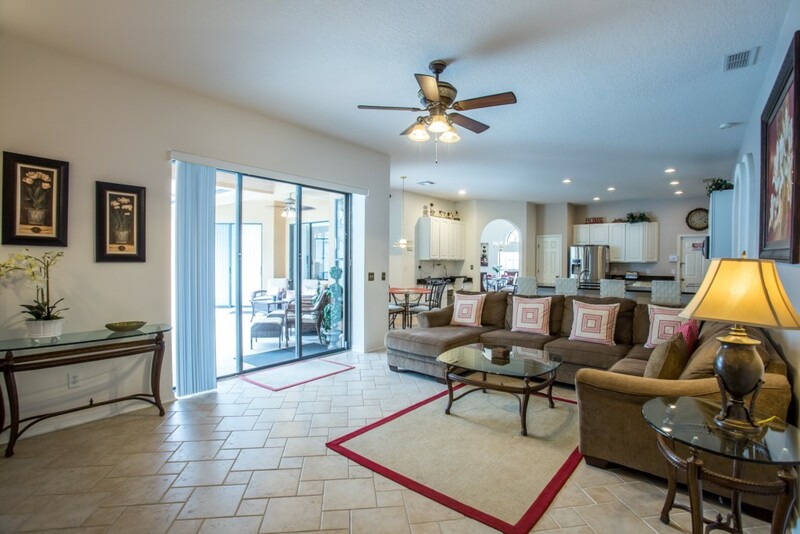 The lanai gives you a chance to hide in the shade. There is a security fence, if needed, for use when children present. In front of the house there is additional seating where you can look at the sunset in the quiet evenings while listening to the birds, and watch the yellow school buses drive home the local children. Often you will see several baloons rides right above the house in early mornings. 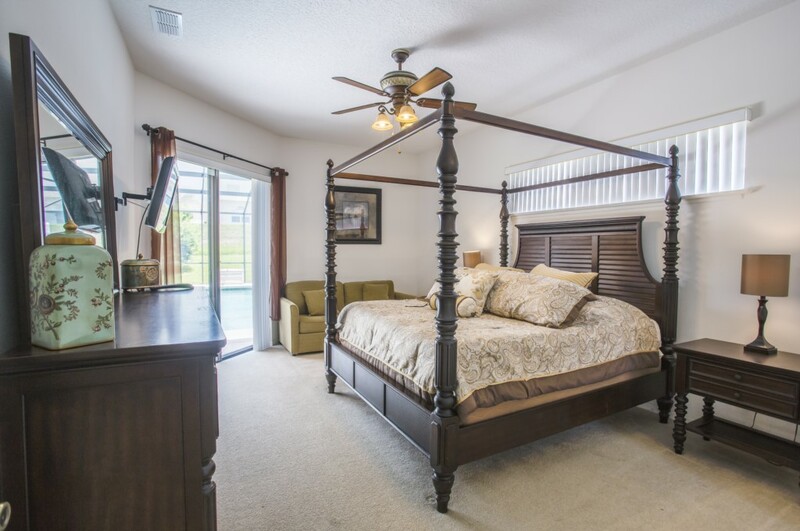 The large master bedroom has direct access to the pool. King bed, TV, clock-radio with docking station for IPod. 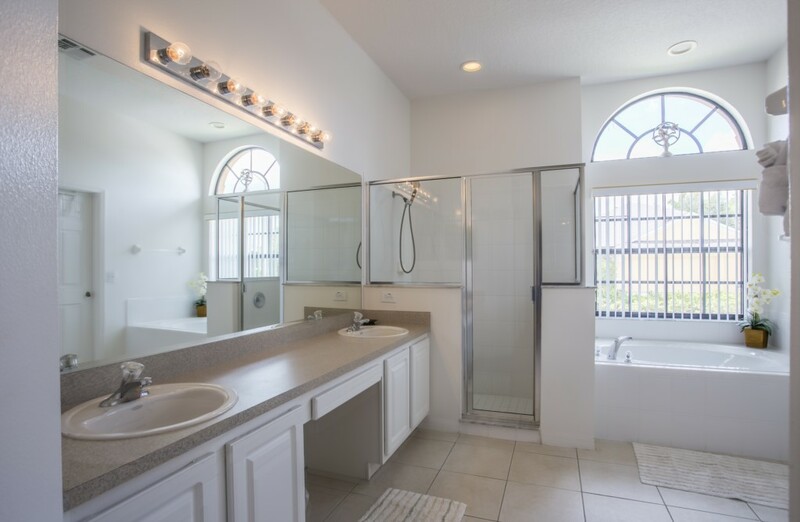 The en-suite master bath has double vanity sinks, a large shower corner and a tub. 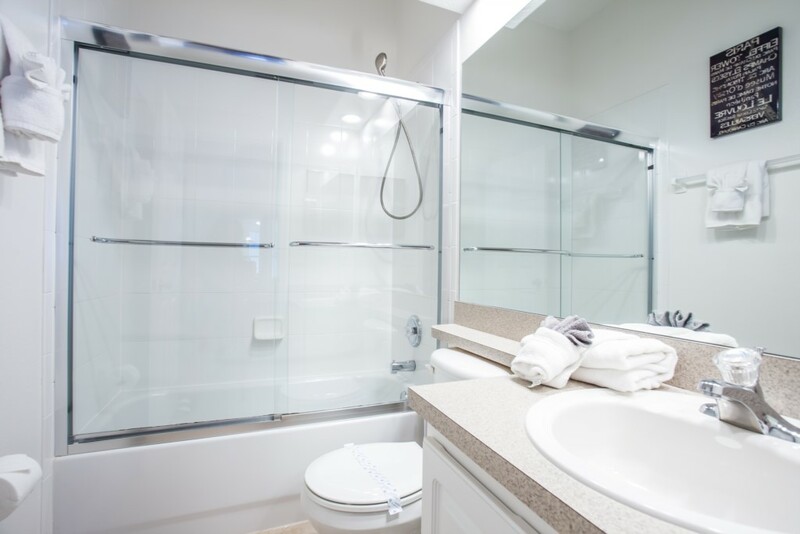 The next suite has a queen size bed and an en-suite bathroom with shower and direct access to the pool. 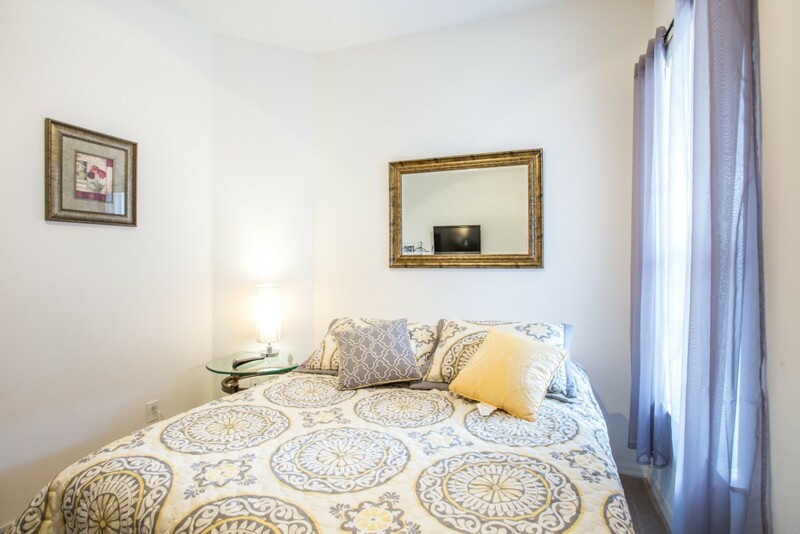 Third and fourth bedrooms are with twin beds, and share the third bathroom with shower. 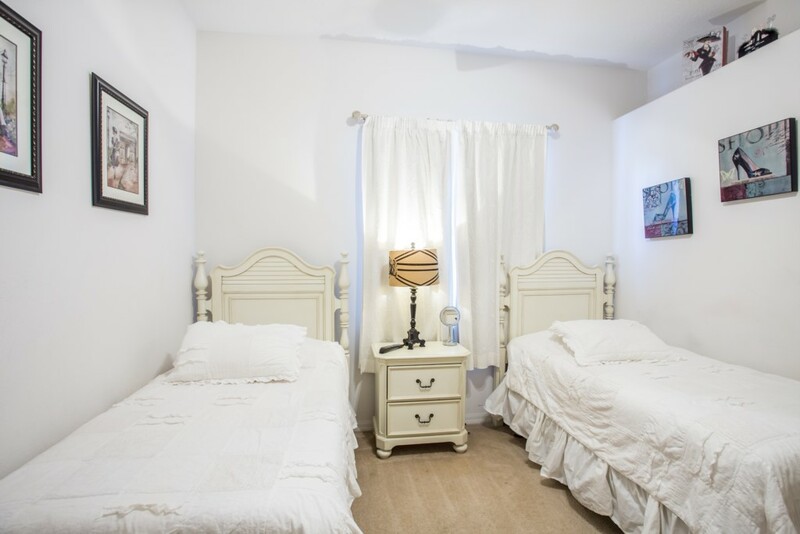 The fifth bedroom is the den with a queen bed, and includes a TV with PlayStation 3/DVD-player and some games. 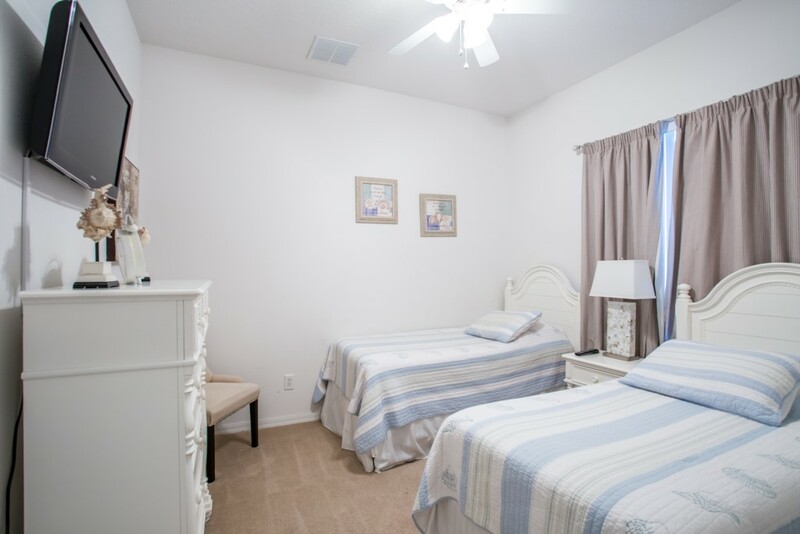 All bedrooms has new flat screen TV’s, and upgraded mattresses . 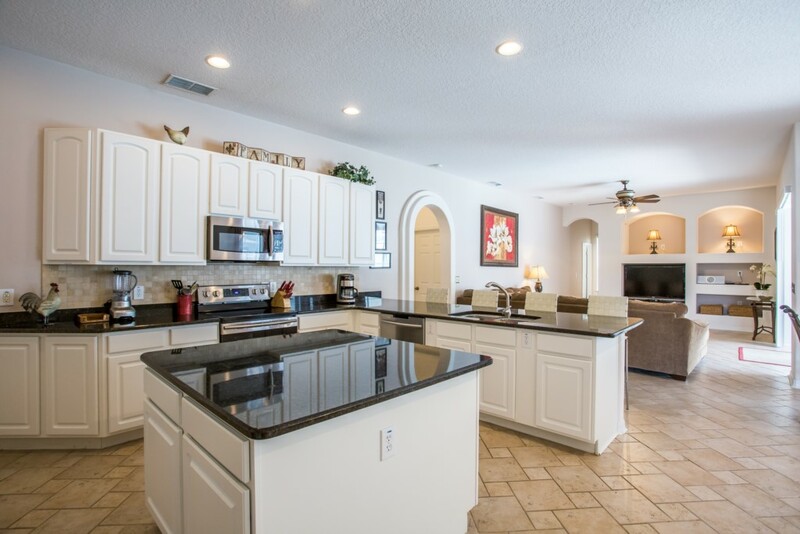 You will find the kitchen fully equipped for enjoying homemade meals. Baking equipment is also present. Waffele iron. All appliances are upgraded to the finest stainless steel. The fridge has a water filter and ice cube maker. 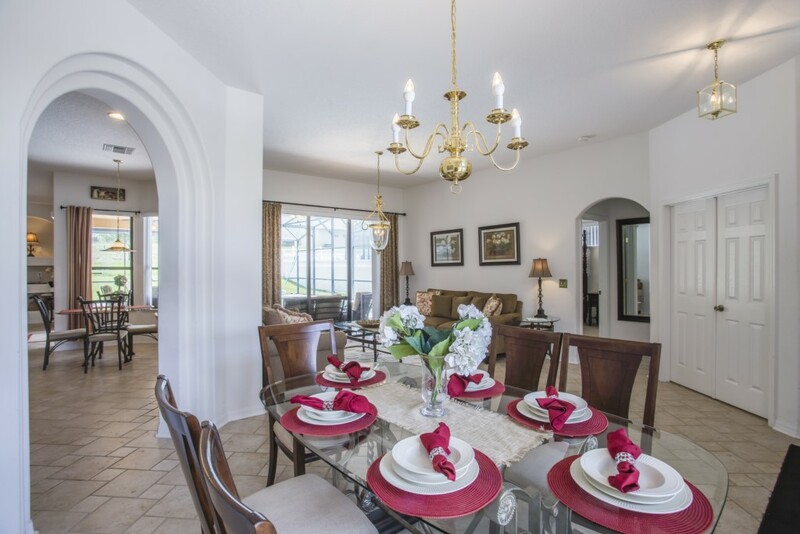 The large dining room has the table nicely set. 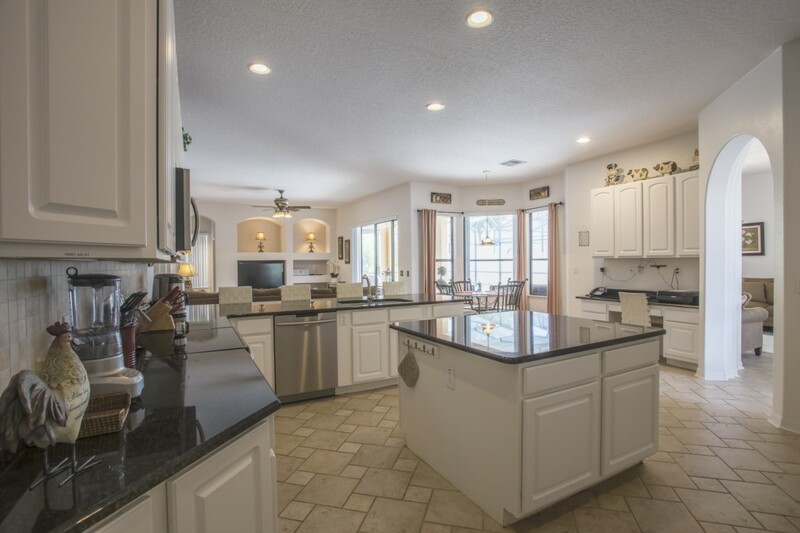 In addition there is a breakfast nook plus barstools by the kitchen counter. 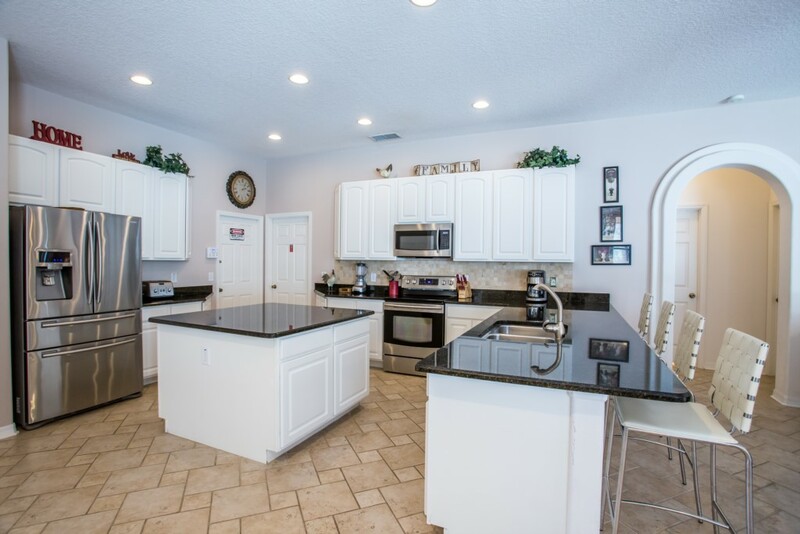 The kitchen counter is also perfect as an office, and includes a printer for complimentary use. 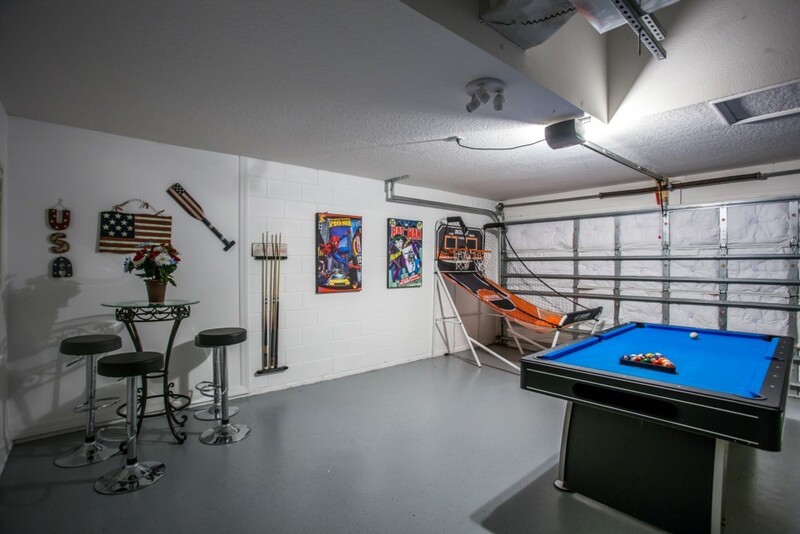 The garage is converted to a stylish games room where the whole family can hang out and have hours of great fun with the billiards, air hockey and dart games. Here you also have a bar corner where you can play cards or Yatzy, or just watch the others playing. The laundry room has an extra large washer/dryer plus ironing equipment. Plenty of linens and towels are provided. For families with babies you will find a fold out crib with comforter, high chair, stroller and car seat. You may find the beach chairs and cooler bag convenient if you decide to visit the beaches in the area. 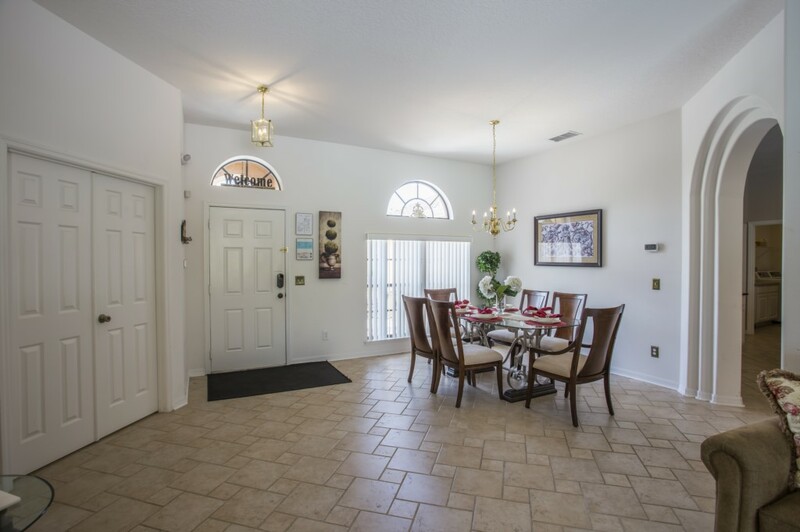 This quality house, which is air conditioned, is perfect for the most discerning guest. 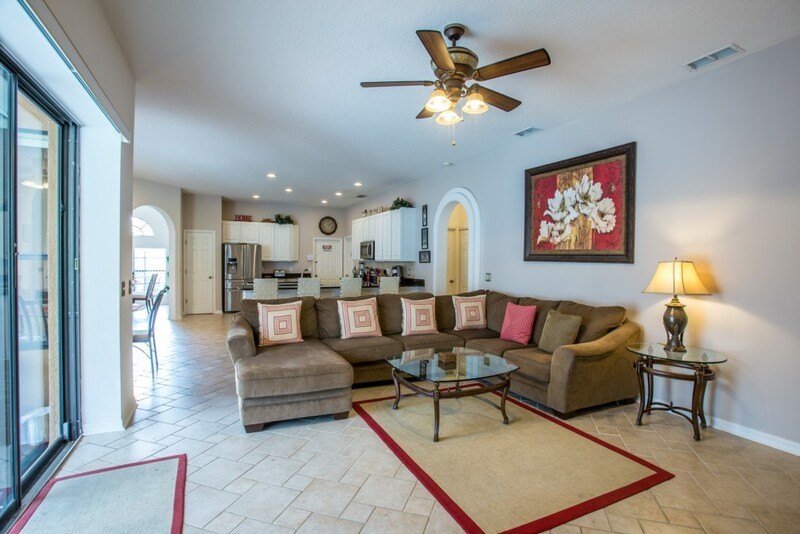 You will want to come back and stay in this home again and again! Departure cleaning is complimentary for stays of minimum 6 nights. 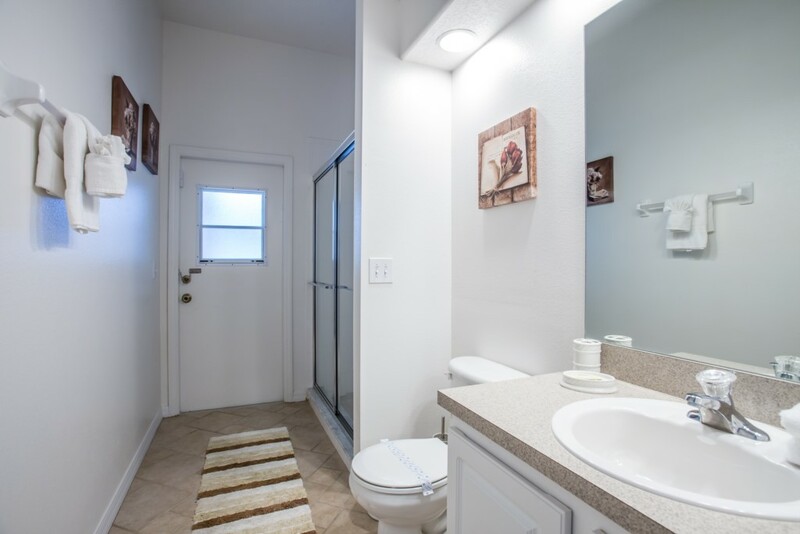 The home has Free WiFi and complimentary use of the house phone within USA.